365 Fifth Avenue, New York City, on October 27, 2006. My name is Bob Helms, and I had the privilege of knowing Paul Avrich during the last several years of his life. I wish to warn you of a quicksand that I have fallen into, which I will call “the Paul Avrich Vortex.” This is where you may find yourself, as I did, after reading his books and feeling compelled to uncover just one more drop of information, and then another and another, beyond the ocean that Paul discovered about thousands of anarchists, both living and dead. Once, when Paul visited my home in Philadelphia, he was delighted to meet the four cats who lived with me, and pleased that three of them (Cleyre, Sasha, and Harry) were named after dead anarchists. Much later, I stopped in at his apartment in Manhattan, and the first thing he did was introduce me to his cats. The reason I tell you this is that in his biography of Voltairine de Cleyre, Paul went into very fine detail about her love of animals, and especially the cats. Another researcher would have missed this part of de Cleyre’s personality; another writer would have failed to mention it. But this little thread has caused me to figure out why that long-dead anarchist heroine gave one particular cat his name, just as a million other details from Paul’s books have assigned me a lifetime’s worth of homework. The cat’s name was Thomas Earle, after the famous abolitionist lawyer of Pennsylvania and the grandfather of Laura Earle, the master pianist who was one of Voltairine’s anarchist comrades. I believe that I would not have been drawn into this obsession for history, had I not known Paul personally. He had such a love for the anarchist people he knew, and for those he brought to life again from their graves, that it just poured out of him as he spoke. I would ask him something about some anarchist, many times over the years. If it was an obscure name that had left little or no trace, he would just tell me what he knew. But if I asked about an anarchist whose child or grandchild he had met, his face would come alive, and he’d go on about what kind of family life they had, why their good character (or bad character) made its contribution to the cause whatever it was, back in the time when they lived. The effect was that Paul added an anarchist’s own personality to the theories and abstractions that had commanded the whole discussion of the subject before he arrived. I find myself talking about a man after he has died, and I am still among the living, just as Paul had the task of describing so many anarchists who died before him. Paul wandered into life with both a powerful brain and a profound instinct toward kindness and decency. I first wrote to him with a question: “What ever finally happened to Natasha Notkin?”--and I was very surprised that Paul, a distinguished scholar, wrote back to me, a nobody, with a short note. By the way, we still don’t know what happened to Notkin. He didn’t care whether or not I had credentials. He was intensely interested in every tiny detail of the story he was committed to tell, and I was asking him something that was worth asking. As time passed and we knew each other better, I would tell Paul what I was finding among the dead comrades, and every so often, I would tell him of some tiny error of fact in one of his books. About four people on this wide Earth would know the difference. Paul would love this: he would demand all the analyses and sources. But he would use the occasion to encourage me, and I felt as though I was a student who he should have had, but who had sort of drifted into his classroom by accident, through the window. 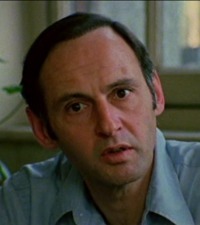 Not in this anarchist life, nor in any other part of this world, have I come across a finer person than Paul Avrich.